**FTC Disclosure Statement: This post contains affiliate links which means that I may receive a commission if you click a link and make a purchase. I am having so much fun planning for my sister’s baby shower. Although I have been a mom for almost 13 years, I have NEVER had a niece or nephew before. My sister is due on May 2, and the theme for the nursery is Minnie Mouse. Naturally, I HAD to include Minnie Mouse in her baby shower! 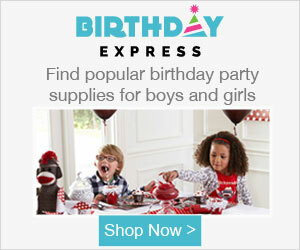 I am loving the selection of Minnie Mouse Party Supplies at Birthday Express. I got some of the plastic Minnie cups to put on the dessert table with lollipops inside. 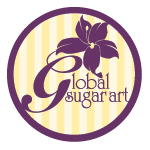 We’re doing a whole dessert table with a variety of cake pops, lollipops, candies, flavored cupcakes and more. I got some cupcake toppers as well as will be using my cookie cutter to make fondant Minnie Mouse toppers for some of the other cupcakes. Many of the Minnie Mouse party supplies are geared for a first birthday (give us another year for that, we’ll be back I’m sure!) and girls birthday supplies, but I did love the complete collection of party supplies they offer! And there are so many other things to help me with the cake decorating and decor for the big day! I am in love with the Minnie Mouse party supplies line. The bows are ADORABLE! And although I am not as big a fan of Daisy Duck, I love how they incorporated both of the leading ladies of Disney into this line. The one thing I have NOT seen in ANY of the other stores I have been to is the Minnie party ears with interchangeable bows. I can’t wait until my niece is here and older and we can enjoy bows and lace and other little girl things! I only have one daughter and she is past these things at almost 13 years old! I am really impressed with the selection of items at Birthday Express. I cannot wait until my niece is here and we have some baby birthday parties to celebrate again! My kids are getting old quick! I’ve also been working on some other surprises for the shower such as a Minnie Mouse bicycle diaper cake and a basket full of Minnie Mouse goodies for the baby. And behind the dessert table will be the sign I made for my niece’s bedroom. Minnie Mouse bicycle diaper cake is made of 34 size 1 diapers, 2 receiving blankets, 2 bibs, a sippy cut, a plush and a pair of socks. YES, ALL MINNIE MOUSE THEMED! I cannot wait to see my little niece in her new Minnie Mouse outfits, shoes, hats and more! I hope my sister takes this sign and hangs it up in the baby’s bedroom! All of my products can be found on our site Nevaland, Inc. The full line of Minnie Mouse party supplies can be found at Birthday Express.